Stereolab will reissue Volumes 1-3 of their 1990s Switched On compilation series next month. 1992's Switched On, 1995's Refried Ectoplasm [Switched On Volume 2] and 1998's Aluminium Tunes [Switched On Volume 3] have all been remastered for the reissue which takes in 48 tracks in total and will be made available via their Duophonic UHF Disks label. The reissue will be available on clear vinyl in a 6xLP set, which will include a 24″x24 poster and 6″x6″ sticker sheet. Each album will also be reissued individually. The release is due on September 27 but can be pre-ordered here ahead of then. 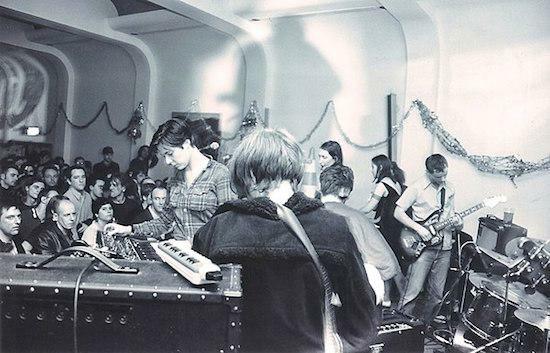 A prolific project formed in 1990 by Lætitia Sadier and Tim Gane, Stereolab have been on hiatus since 2009 having shifted through 15 additional members in their time.